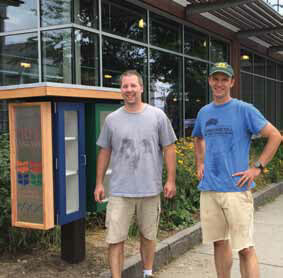 You may have noticed some new structures pop up around town—filled with great reads that are free to anyone who walks by. 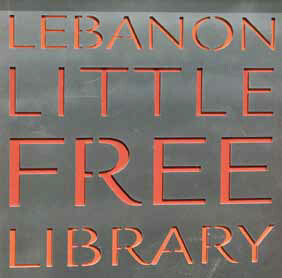 While we’ve had public libraries here in Lebanon since 1802, the newest ones never close and don’t even require a library card. These Little Free Libraries are both beautiful and functional, allowing Lebanon residents to pass on what they don’t need and find a new treasure while they are there. The idea is to “take a book, return a book,” but there are no requirements or due dates on these shelves, no e-readers or digital copies; just free and easy access to books in public locations. The Little Free Libraries were installed in four places throughout the city: at the Kilton Library, in Colburn Park, in Riverside Park on Glen Road, and at the Upper Valley Senior Center. These locations were specifically chosen because they have high foot traffic and are easily accessible by many people, including commuters, children, and seniors. The Little Free Library movement started in a front yard in Wisconsin in 2009, when founder Todd Bol installed a tiny red schoolhouse dedicated to his mother and filled it with books. He was inspired by traveling libraries, coffee shop book swaps, and Andrew Carnegie’s support of free public libraries (including our own Lebanon Public Library). Bol formed a nonprofit and caught the attention of the national media two years later, when the idea went viral. 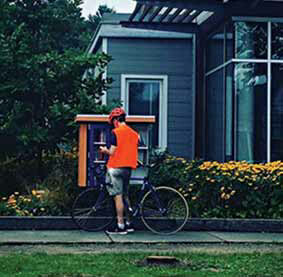 The mission of the Little Free Libraries is to promote literacy and the love of reading by building free book exchanges worldwide, and to build a sense of community as we share skills, creativity, and wisdom across generations. 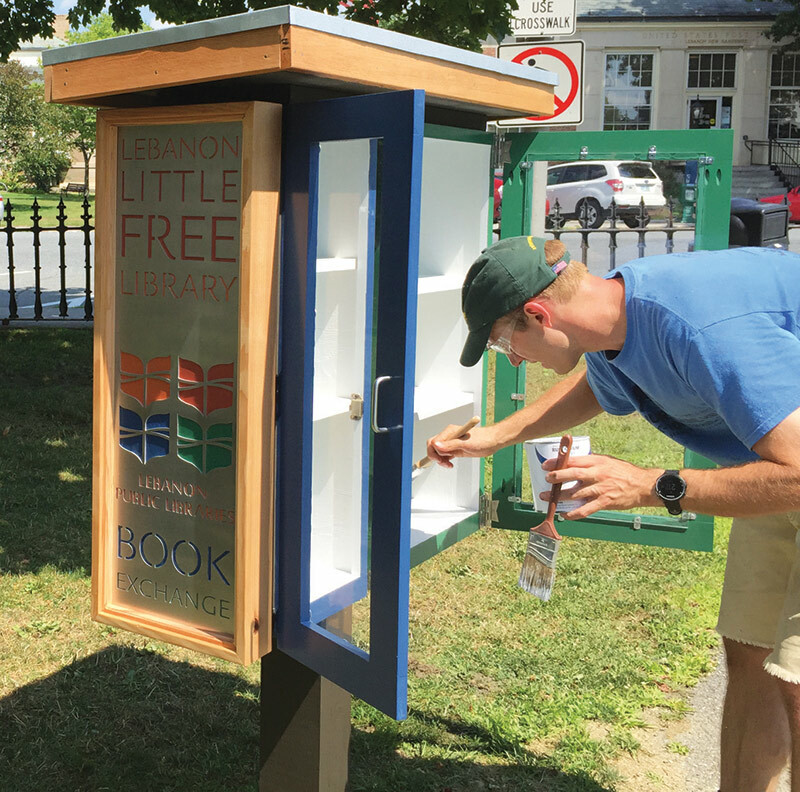 Today, our Little Free Libraries in Lebanon stand proud among an estimated 40,000 worldwide and over 40 others here in New Hampshire, sharing millions of books annually. Other locations in New Hampshire include Grafton, Claremont, Meredith, Littleton, and Hampton. These Little Free Libraries offer a simple, free, and face-to-face way to build social interactions, increase literacy, and encourage a love of books in communities around the world. This project was truly a community collaboration, with funding for the project coming from the Riverside Rotary and the Lebanon Public Libraries Board of Trustees. 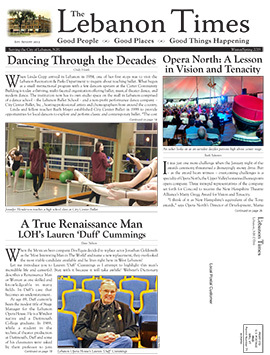 Lebanon Public Libraries Director Sean Fleming, IT Librarian Chuck McAndrew, and Trustee Laura Barrett advocated for the idea to become a reality. Local architect and West Lebanon resident Zachary Brock designed the libraries and worked on the construction with Bob Stone, also a West Lebanon resident. 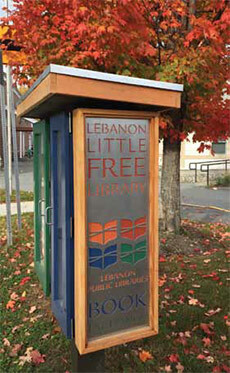 One of the most unique features of the Little Free Libraries is the laser-cut aluminum signs adorning the sides of the boxes. Designer Matt Young created the plan for the signs, and volunteers from Hypertherm donated the materials, labor, and used their lasers to create the artful signs. In addition, Lebanon Paint & Decorating donated the paint, and Jeff White from Harvey Building Products volunteered to work on the roofs of the structures. Careful thought and consideration went into the design of the libraries. Since they are located on public land, they meet Americans With Disabilities Act (ADA) guidelines for handicap accessibility. The handles and top shelves are located at a height where they can be reached by someone in a wheelchair. Every box is placed next to a hard surface, like a sidewalk or a pavilion, so that anyone in a wheelchair or power chair could roll up next to any of the boxes. In addition, because of the lower height of the library installations, the roof was designed so that no parts of the roof would stick out at eye level for standing adults. The Little Free Libraries were truly designed with everyone in mind. As a community initiative, our new Little Free Libraries will thrive best with the help and support of Lebanon residents. It’s easy to participate and support this new program not just by using the Little Free Libraries, but also supplying them with books of your own. Donations can be brought directly to any of the four Little Free Libraries, or you can donate up to two boxes at either the Lebanon Library or the Kilton Library. Kids’ books are especially in demand in Colburn Park and Riverside Park, but all donations are appreciated.